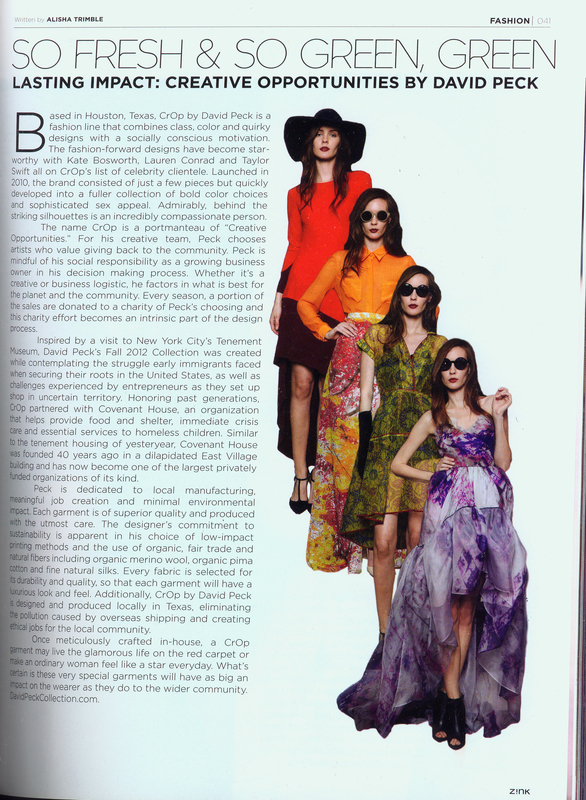 It was fun getting to know about designer David Peck’s initiative to create opportunites for eco-fashion. His designs are really high-fashion but he doesn’t stop there. See the Zink article I wrote below.